Often people do not pay attention to the importance of water heaters until something goes wrong with theirs. Warm and hot water is something that most of us take for granted. Yet if your water heater stops working then it needs to be fixed as quickly as possible. You should not try to fix things by yourself as heaters should only be fitted, fixed, or replaced by qualified professional. Contractors need to have full training in order to handle water heaters safely. In this district our firm is the best one to hire to sort all of your water heater issues. There is no other firm within this area, which provides services as well as we do. We have offered our top notch Water heater repair services in Tempe, AZ since we started our business up several years ago. The secret of our success is that our staff are very good at their jobs. We take on the best people to work for us, so we can be confident that the work is done to the highest levels of excellence. The recruitment of the best workers makes our customers satisfied with the services we provide for them. Water heaters can develop a variety of faults or issues and we have the know how to deal with all of them. Our workers will soon work out the problem to be resolved and take the steps to fix them. Our work teams will have the gear to repair all of the problems, which can be fixed. 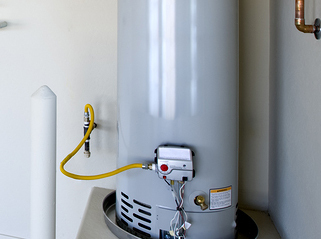 If your water heater has stopped working then contact our Water heater repair services in Tempe, AZ immediately so we can fix things for you. Do not put up with cold water when we can fix it for you as quickly as possible.